Once again... CVS is having some freebies and good buys Sunday through Tuesday only. Stock up on these back to school freebies, or I encourage you offer them to someone who needs help if you don't need them. Thanks CouponKim, TheBargainBuggy, & TwoThrifySisters! New to shopping CVS the frugal way? Check out my CVS 101 post for help getting started. Formula Freebies... These Go Fast! Get your free support kit from Enfamil. Going to use formula? Not sure yet? These offers usually go very fast! Last Day for Great Magazine Deal!! Today is the last day for the great sale on magazines at Amazon ! 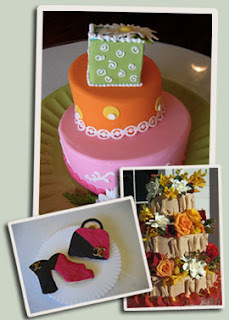 Here are a few examples to give you an idea. Parents (1-year) Great Magazine for Families! you know the costs can be outrageous for that box of paper. I've used ChecksUnlimited several times and love them! They have countless styles and designs... some even designer/branded checks. You can even get your checkbook cover and address labels to match if you like. 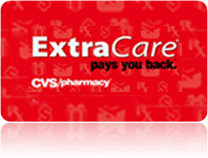 Walgreens 15% off Coupon... Good Today Only!! Print and use a coupon good for 15% off any eligible purchase at Walgreens & 20% off any eligible Walgreens brand item. Get yours here & combine with this weeks deals. Here are a few of the recent printable coupons I've come across online. Great $2 coupon for Honey Bunches of Oats with Pecan Bunches! --This is one I want to try :) Yum! $1 coupon for Vaseline Clinical Therapy. Whiskas $2 coupon for Purrfectly Brand Dry Food for Cats with Chicken or with Chicken & Salmon! High value French's coupons.. must sign up. I love Target, but find it hard to get there with it being in the mall and the parking for my local store is terrible. With a toddler in tow it's just too much most of the time. I came across this deal posted by Couponnerdz though that might be worth the trip. National Cheesecake Day... July 30th! Thursday, July 30th is National Cheesecake Day! Celebrate our big day by dining-in and enjoying any of our 30 delicious cheesecakes for half price. We will also introduce our new flavor Stefanie’s Ultimate Red Velvet Cake Cheesecake. See there list of cheesecake flavors here. Wish there was one closer to me!!! I'd be there.... Yum! and many will be purchasing textbooks for various college courses. Most often, textbooks are purchased right in the school bookstore, and trust me, they squeeze every penny out of you they can get! If you're interested in saving money on those books, I recommend you check out Amazon & ebay to find the best deals on your books. Where did the summer go already? 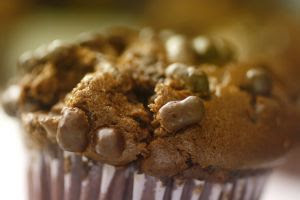 I made muffins the other day and on the box it said to use an ice cream scoop to fill the paper cups.... I'd never thought to do that before, but thought I'd give it a try. What would it hurt if it didn't work? I actually found it to be much easier than using a spoon! Not so much drippage and the scoop holds more than even a tablespoon, so less work altogether. Just a silly little tidbit to help make life a bit easier ... and something I found right on the side of the box. Betty Crocker gets the credit for this one. Go figure! There is still a coupon for $5 off $25 at RiteAid available at Coupons.com! Update... Thanks to Dreams of Stardust who left me a comment letting me know about it. If anyone has the Biore coupon found in the nose strip packets, now would be a good time to stock up on the Biore line at Rite Aid. The Biore coupons I had said "$2 off any Biore product with the purchase of a face wash". You would also get $2 SCR for 1 item or $5 SCR for 2 items purchased (valid for the August SCR deal). B) I bought 2 packets of nose strips and got 2 free bottles of face wash. Total so far = $15.98. C) Put in (3) $2 off Biore coupons. I was only supposed to use 2 but accidentally gave 3 to the cashier and they all scanned without a beep! New total = 15.98 - 6 = $9.98. D) Stack the Biore coupons with Rite Aid $5/$25 coupon, making the new total $4.98. E) I just checked my status for the SCR and found that my purchase did qualify for $5 SCR, making the purchase completely FREE! New to shopping RiteAid the frugal way? Check out RiteAid 101 to get started. This is a new offer from Cymbalta... get a free brochure, questions to help you talk to your Doctor, and a free trial offer with you prescription for Cymbalta. They don't specifically tell you what the trial offer is, but it is likely some samples of the medication. Don't know if you need it... you're not committing to anything by signing up for the information. Simply sign up... check out the information, then decide if it's something you should talk to your Dr. about. Another opportunity for free information and offers is at Quality Health. Simply click on the box above to find out more. I don't often play games on the computer. My sister recently got me started on Farm Town in facebook, but other than that I don't have the time to "play" on the computer. I remember a few years ago, well... probably more than a few, but I don't want to show my age ... when the computer was mainly for games and sometimes helped with school papers. My sister on the other hand, the one that got me started on Farm Town, she and her Hubby love computer games! One game I've come to like my mother actually introduced me to. Bejeweled. I like Bejeweled because it doesn't take a lot of skill or thought... you can kind of mindlessly play it. A great place to play games for free is PopCap. You can find the Bejeweled games and lots of others there where you can play them for free. If you get tired of the ads and the time it takes to load a game, you can purchase them... but many of them you don't have to. I have enjoyed it off and on through the years when I have some free time and happen to think about it. 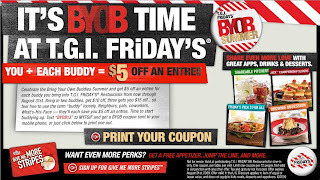 Now through the end of August, take $5 off each entree for each buddy you bring with you when you print a coupon here and take it with you. Coupons.com is a great resource for coupons! I love them because you can just print what you want and you don't have to worry about getting a page full of advertisements printing with them like some of the other sites do. Here are some of the best deals for Meijer the week of July 26th-August 1st. Let me know if you see something I missed. Britax $45 off with Free Shipping! Right now Amazon has a closeout going on with two of their Britax Car Seats! They both ship free if you select one from the Amazon store. I know Britax is very well known for their quality and is sought after. I just happened upon this deal and thought I'd pass the info along... just in case one of you readers is looking for one. Once again, CVS is having a Sunday -Tuesday list of specials deals. New to shopping Walgreens the frugal way? Check out my Walgreens 101 to get started. Free Tea Today at McAlister's!! Get a free tea today just for stopping by McAlisters! thanks to our wonderful economy I'm sure. Do take advantage of this one if you can! If you've never had their tea before, it is very good. It comes in a nice size plastic cup you can take with you. Get 80% off right now at Restaurant.com gift certificates!! Restaurant.com is a great way to make a nice dinner out affordable. The certificates represent a significant savings over the regular cost of dining out and they are each good for 1 year from the date of purchase... so you have a long time to get to that restaurant! You can even use certificates for vacation! Most certificates have requirements that you must meet to redeem the certificate... so do read the fine print. There's never been a requirement that stopped me from making a purchase, but you should make yourself aware of the requirement for each certificate you purchase. Make the most of your savings and buy a Dinner of the Month Club! Get 80% off of the Dinner of the Month Club prices, and get a bonus certificate with your purchase. With the Dinner of the Month club you will get a code sent to your email each month and you can then go purchase your certificate with that code. You can keep them and use them all yourself, or give them away as gifts. Simply use the link above to get your discount & enjoy your meal! Survey Savvy... Another Great Survey Site! been signed up with for awhile that I like. I don't get a lot of surveys from them, but I don't get any spam from them either. With Survey Savvy, your earnings accumulate until your request a payment. This is great for me, because I like to wait until I have a decent amount before I cash out.... saving me multiple trips to the bank or a chance of losing one of those checks. 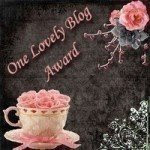 You can find more Works for me Wednesday tips/ideas here. That's right, a great find! You could even profit from the purchase! The 2009 Entertainment Books are on sale currently for $7.99, and Cashbaq is giving $8 back for each one purchased... making them free + s/h, making it $1.98. Sign up for Cashbaq here if you're not yet a member= $3 profit! Cashbaq is a free program that gives you money back when you shop through their links. If you are a new member and you make a purchase you get an additional $5 for signing up with them! Making the deal a $3 money maker after you pay the s/h. If you're already a member, you can go here and your Entertainment book will be free + $1.98 s/h. 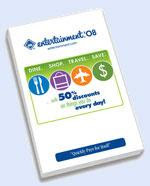 The Entertainment Book is a great resource for coupons, and if you've never had one, now is a good time to see if they would be a good investment for you on an annual basis. This special is only good through Wednesday, 7/22/09... so act fast if you child loves Elmo! Kids love music, and personalized songs make music even more fun. and personalized kids products too if Elmo's not the favorite. 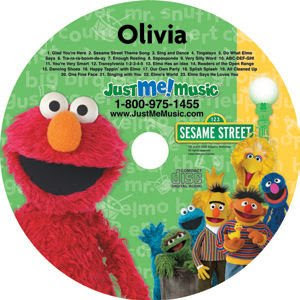 This Elmo CD has 23 tracks and will say your child's name more than 60 times. right now for a limited time. Limit one per address and per name. Available while supplies last. Don't Forget: Free Pastry today at Starbucks! Starbucks is getting in on the recent freebies! with the purchase of any beverage before 10:30 am!! Offer not valid in Hawaii and certain locations. See coupon for more details. I recommend you call your local Starbucks before making the trip. 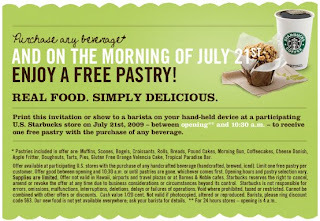 Starbucks: Free Pastry with Beverage Purchase! Tomorrow they are offering a free pastry with the purchase of any beverage between the hours of ..
the Opening of the location and 10:30 am. Get $5 Catalina good on next purchase! Buy $10 of any combination of Keebler, Eggo, Sunshine, & Kellogg's products, get $10 off a backpack... the following products qualify. Backpacks are B1G1 for $1 this week (of equal or lesser value of course). You should be able to get the $10 off the first one and pay $1 for the second one making the deal even better than last weeks. I have not yet tried this... let me know if you it worked for you. My friend Jill (thanks girlfriend!) emailed to say she tried the get to do the double backpack deal at our local Meijer and they wouldn't let her... so your mileage may vary on this one. Thanks to KingdomKlipper, MacombMoneySavers, LoveSavingWithCoupons & Meijer.com.